Boat Houses and Gazebos — L&L Marine Inc.
Keeping your boat prestine or just relaxing on a hot, summer day, a roof is always a welcome addition. L&L Marine can build and design the perfect roof for you. We can match your house's roof design and color or do something completely unique. For gazebos we offer wood paneled ceilings and benches around all sides. Boathouses can be built with one or numerous slips underneath, with storage overhead. We offer many roofing materials such as standing seam metal, wood shakes, or 30-year architectural shingles. Additionally, we can install cupolas to put the cherry on top of your great roof. 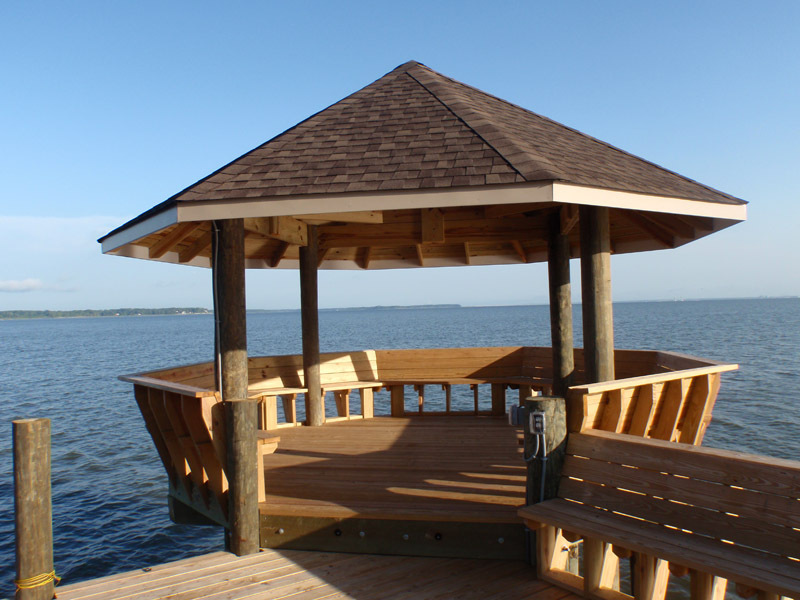 Let us make your pier talk of the town with a beautiful roof.